Autumn is a lovely season in the Texas Hill Country. Misty days make way to vivid sunsets, and cooler weather at last. 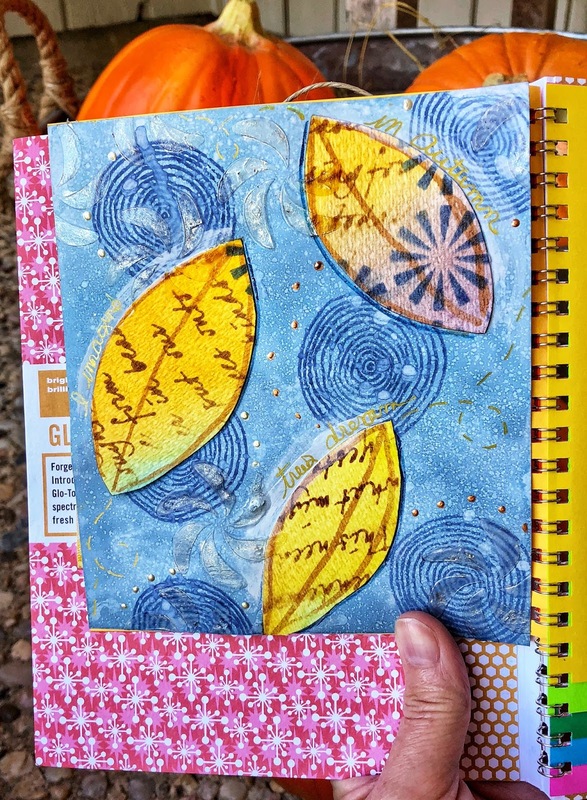 To celebrate this gorgeous season, I've been altering an old paper sample book. Joe was getting rid of some and I kept them. They are really interesing. 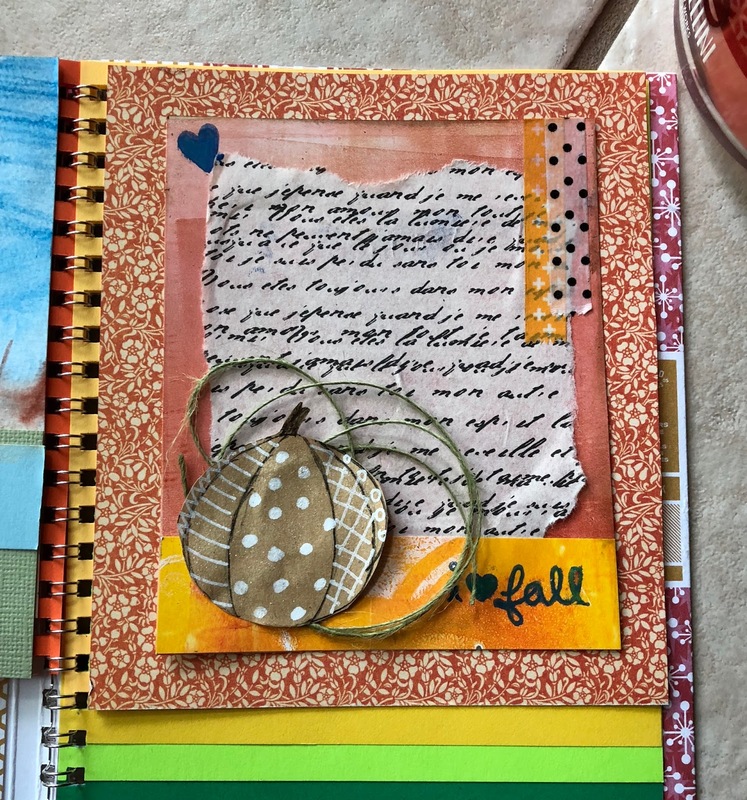 Different paper in different sizes with different colors and textures. Below is a walk through of this mini art journal. Take a peek. I really enjoyed a small focused project. 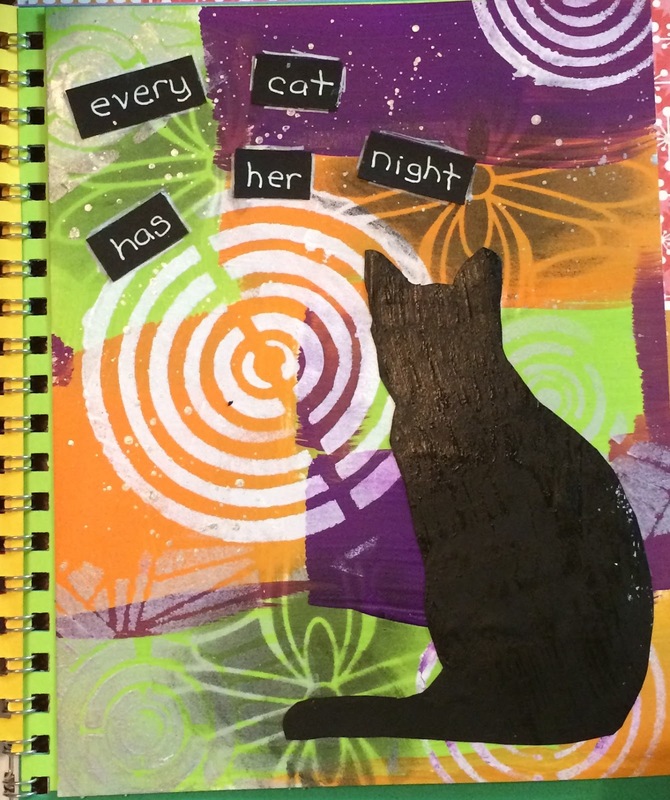 Usually my art journals are random and take years to fill in because I use serveral ones at one time. 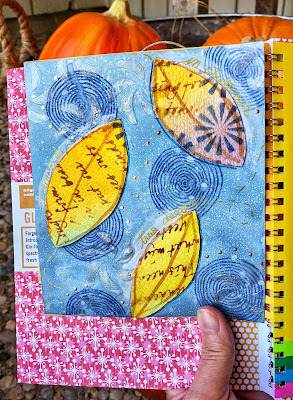 If you are interested in a paper sample book, check with your local printer. They may have some they are happy to give you. Or leave a comment. We can work something out. 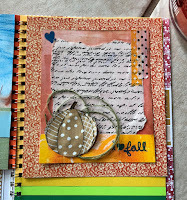 Have you altered a book? I'd be interested to hear.